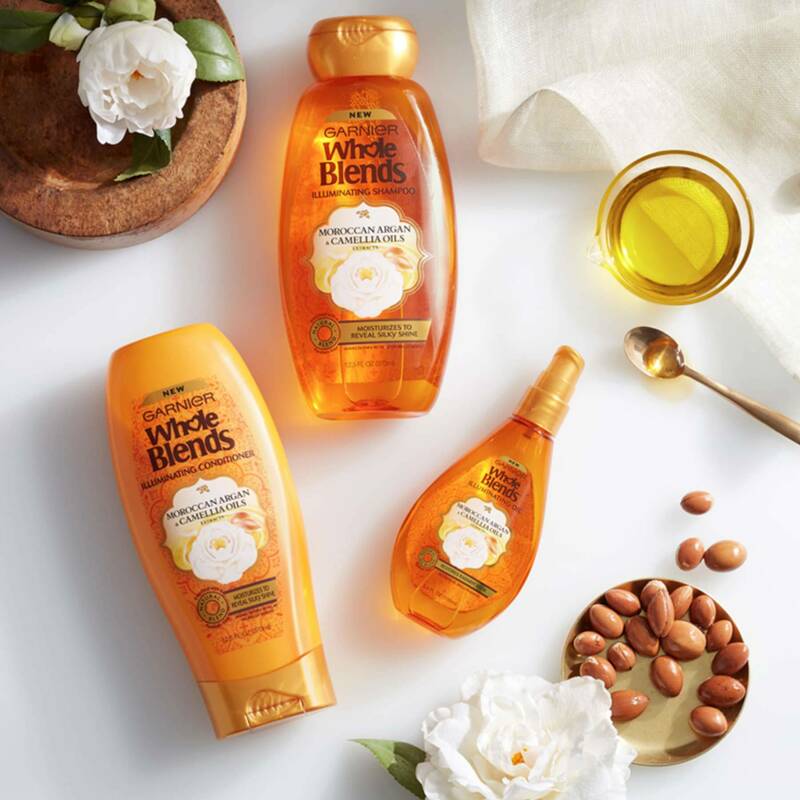 Our Garnier Whole Blends paraben-free, indulgent hair oil formula blooms with a luxurious fragrance of Moroccan argan & camellia oils for hair. It absorbs instantly to restore moisture, shine & suppleness. Extracted from the Camellia Flower, Camellia Oil is an active ingredient in gentle hair care, replacing damaging ammonia with healthy moisturizing benefits. Everything you need to reveal silky shine. Rated 5 out of 5 by Sant2 from Amazing product! I bought this hair oil since my go-to oil was sold out. Best thing I ever did! This oil leaves my hair feeling amaaaaazingly soft and smooth! No greasy or heavy feel to the hair! LOVE LOVE LOVE! Rated 5 out of 5 by LisaNJ from Just what I want! Product is perfect. Wish bottle were easier to use. Rated 5 out of 5 by Pamela82 from Low Porosity Hair Loves This Oil!!!! I am African American and have type 3 natural hair with low porosity. Most oils that I have put on my hair strands in the past has always just sat on top of it. Some people said that all oil is the same and it isn't the same at all! This is the best oil that I EVER used. I have used really expensive hair oil that isn't as good as this oil. That's the truth. I use it on my hair when it's soaking wet and also when it's dry and it keeps my frizzy hair away. This is an excellent oil. At least try it. I went through a lot just to purchase this oil because it isn't sold in my part of town; so I ended up purchasing almost a case of this oil. I love it that much. Rated 5 out of 5 by SandraG from Loving It For the past three weeks I have been using the Whole Blends set shampoo and conditioner along with this Moroccan oil and I am in love. Unlike some oils that I have purchased in the past that actually leave my hair feeling greasy but smelling good this product actually works. I love the way I only have to use just a dime full on my hand for my hair, and I have allot of hair and the ends are dry. I don't have to spend an arm and a leg to get great looking hair every day. This is important because not only do I not have an endless income for hair care, I need a product that works and doesn't waste our money. Rated 4 out of 5 by MMH1022 from Whole blends leave in oil treatment Ok, first off, my hair is super oily. So using any kind of oil products on my hair is difficult. Things I loved about this product- The smell- I can't really explain the smell, other than It smelled really good. Not super girly at all. I like that this brand is trying to move forward with be ok more healthy for the consumer. Less man made chemicals. I am always looking for products with less/no harsh chemicals. Something I can use on my daughter and myself without question. I would likr to see more of that from this brand in the future. It made my hair super soft and silky but as the day went on, it got oily. I did try it on my daughter who has drier hair and it was less oily and just soft as the day went on. 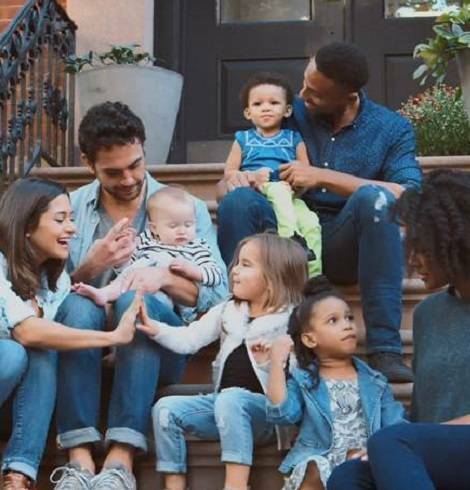 Overall I would definitely recommend the product to friends/family. Rated 5 out of 5 by RangersMom from Whole Blends I have used this product for the last couple of weeks and really like it. First of all - I have very fine hair and lots of it! Usually when I use Oil based products (even Argan Oil) my hair looks greasy and looses volume. This product does not make my hair look greasy, however I only have to use very few drops. I apply the Illuminating Oil Leave-In Treatment after towel drying my hair and just blow dry it afterwards. It really makes my hair shiny, frizz free and pretty looking. I even got a few compliments from strangers. I will keep using this product, especially since my hair no longers looks super frizzy and limp! Thanks for letting me try this awesome product! 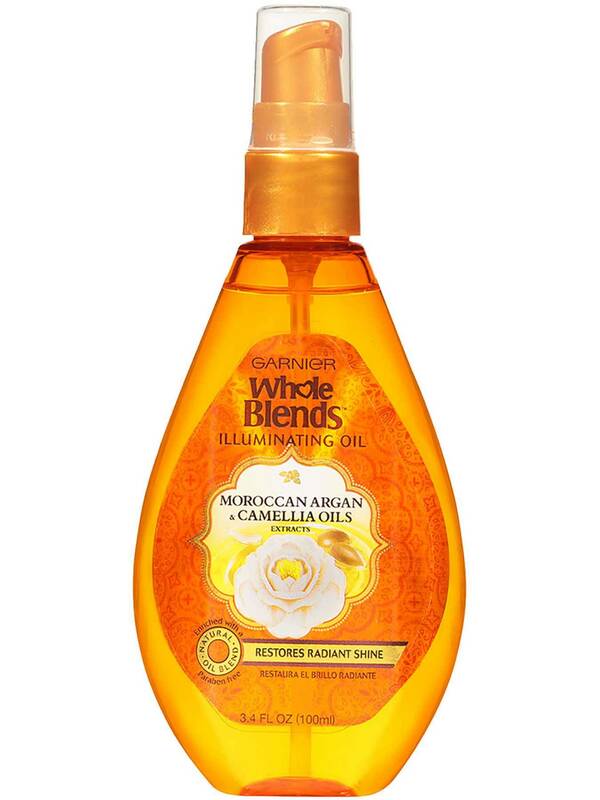 Rated 5 out of 5 by Lanie39 from You gotta buy, I love it Garnier whole blends illuminating oil with Moroccan argan and camellia oils is awesome. I love the smell. Makes my look and feel wonderful. Even helps with my frizz if put in damp hair. Every woman should try it. I will buy more.